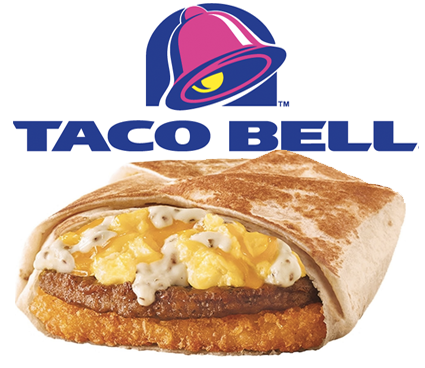 Taco Bell's World Series promotion, to give out free breakfast Crunchwraps to "all of America," for a stolen base within the World Series, was a sure thing. The Kansas City Royals, our hometown team, are well known for base stealing. Outfielder Lorenzo Cain was more than happy to provide the payoff when he stole second base n the bottom of the sixth inning during Game 1. Some coverage of the promotions has been focused on the massive expense of such a play, from the MLB sponsorship, to TV spots, to the price of the actual Crunchwraps being handed out for free this morning. That isn't chump change, but Taco Bell isn't a small brand. The YUM Brands chain has around 6,000 US locations, and reported media spending at least $251 million dollars in 2014, according to Kantar Media. This promotion has earned them PR buzz and social mentions for the past week, and has driven customers directly to their locations to sample their new breakfast offering. Breakfast is a key business driver in a highly competitive fast food market. Americans dropped $35 Billion last year in fast food breakfasts, and it is the only meal segment growing, in an otherwise flat fast food industry. If Taco Bell Spent $10 million on this entire promotion, and if each of the 6,000 locations gave away 2 Crunchwraps a minute for the duration of the 5 hour promo, then 1.8 million free Crunchwraps were delivered today, for an average cost per visit of $5.55. I say this was a grand slam.